Click logo for official photos. Finally, the club’s new tri kits are coming! For the first time in a few years, kits are on their way and will include a modern redesign. We are putting together an order with Voler for CNY Triathlon Club Gear and will have sizing kits available this Saturday, March 12 at the WTF from 7 a.m. to noon. Voler is a high quality American manufacturer that creates top-notch custom cycling and triathlon apparel. We will be making available for order two different styles of tops ($46, $51), shorts ($61), one-piece skinsuits ($94) and running singlets ($36). You will be able to order directly from a website link, and we have negotiated the lowest price they offer–so plan on getting your gear this season. The final design may not be available immediately, but we are working on a redesign with Voler’s artists and it will be posted on the ordering link as soon as it is finalized. Please note the shipping costs and options available. We are offering a central pick-up at the WTF, or you can have it shipped directly to your home. The lowest cost options are for uninsured delivery to your home or the WTF. Come by the WTF Saturday morning, 7 a.m.-noon and next Saturday, March 19, to try on their high quality gear for size. We have the sizing kits for only a limited time (two weeks). See link below and check out what is available. Your team has decided to use the online system for collecting and processing your cycling apparel order. Please follow the steps below to place your individual order for inclusion in the overall team order. Finally, don’t forget to renew your membership. Click here to renew. Next Board Meeting: Monday, April 11, 6 p.m.
All ages and abilities welcome. June 2-5. 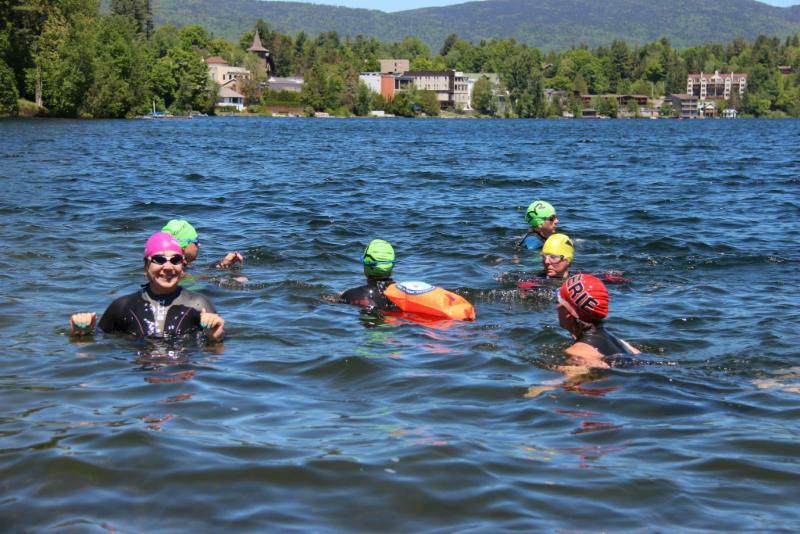 This fourth annual four-day training camp is set in the beautiful Lake Placid region of New York and led by 2016 Team USA Head Coach, Karen Allen-Turner of OutRival Racing and QT2 Systems. Catering to 20-25 women, the camp will combine training with workshops and other fun activities that the Adirondack region has to offer. Targeted at women who are looking to improve their knowledge and performances in 2016 and beyond. This camp has sold out the last three years. This camp will introduce you to the terrain of Lake Placid and provide you with valuable knowledge that you will be able to take away and apply to your training and racing. The package price includes shared accommodations and most meals. In addition to the valuable training, athletes will also have the opportunity to experience standup paddle boarding, mountain biking and hiking one of the beautiful Adirondack mountain peaks. At the end of the day, athletes can relax at the house, take in a workshop, have a nice meal and book a massage with our very own masseuse. Downtown Lake Placid is less than 15 minutes away and athletes can also take some time for shopping, eating or enjoying one of the many downtown attractions and activities. Camp cost: $695. $200 deposit reserves spot/rate. DISCOUNTS: $200 discount for current ORR and QT2 Systems personally coached athletes; $100 discount for returning attendees. Contact us for discount codes. If you would like to attend our camp but provide your own lodging and/or meals, please contact us for discounted rate. 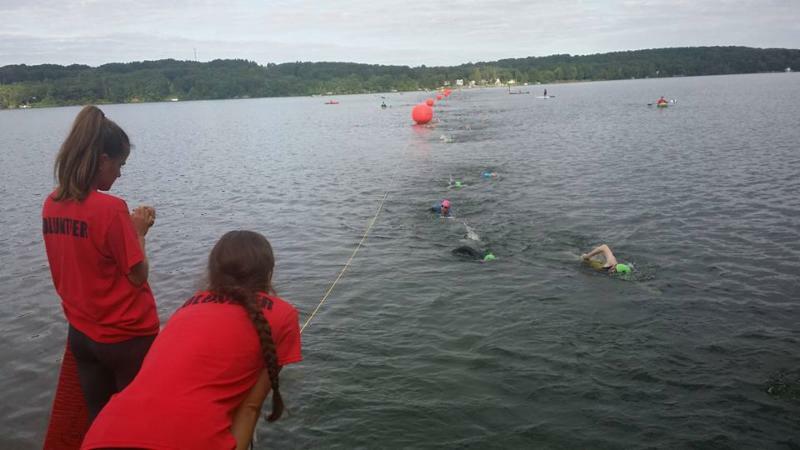 Registration is open for the Cazenovia Triathlon, presented by your very own CNY Tri Club. Set for Aug. 28, we are again offering the lower registration prices, bringing back the race T-shirts, offering finisher medals for all of those who cross the finish line, and much more. In 2016 we will again be offering the sprint, sprint relay, sprint aquabike, as well as the intermediate, intermediate relay and intermediate aquabike. Registration is limited to 400 total athletes so be sure to register early to save yourself a spot on the starting line! You are currently browsing the CNY Triathlon Club blog archives for March, 2016.